We’re always striving to make your BlueForceGear.com experience Always Better®. If you don’t see an answer to your question below, please call us at 877.430.2583 or email us at sales@blueforcegear.com. One of our customer service representatives will be happy to assist you with all of your ordering and weapon- and product-related needs. What is the difference between the NSN Sling and the Vickers Sling™? All versions of the Vickers Sling™ are two-point slings with the ability to quickly adjust the amount of available webbing to secure the weapon and grant more freedom of movement to the user. While there are a few sling models that include specialized materials in certain sections, the webbing itself is the same 1.25” webbing throughout the entire sling line. The NSN version of the Vickers Sling is the model adopted by the United States Marine Corps as its small arms sling and slightly differs from the standard Vickers Sling. The NSN version of the Vickers sling includes the Quick Release Kit and Locking-Loops hardware while the standard Vickers Sling is made with triglides. What is the difference between a single-point sling and a two-point sling? Single-point slings, sometimes referred to as one-point slings, are designed for the user to carry the weapon with the sling attached by one point of contact, usually at the back of the receiver or frame. This gives the user more freedom of movement when handling a long gun, which is very popular with room clearance teams whose close-quarters weapon of choice are submachine guns. Because of how the single-point sling is attached, some users dislike that it requires the gun to hang in the front as it can be less secure. Two-point slings have two points of contact with the weapon and allow users to secure weapons when free hands are needed and provide additional stability when making offhand shots. The Vickers Sling provides additional functionality compared to other two-point slings as it allows users to quickly adjust the length of the sling for additional length for more freedom of movement and to tighten down for additional security when not in use, or for additional shooting stability. What are the main differences between the Standard AK Sling and the Vickers Sling? The Standard AK sling is made with the Molded version of the Universal Wire Loop™, also known as the Molded UWL, which provides easy attachment to the eyelet of AK47/74 forend. The Standard AK Sling also has a small sewn-in label while the Vickers Sling™ has a larger heat-transferred label. What is the Vickers 221 Sling? The Vickers 221 Sling is a version of the Vickers Sling™ that allows users to make the conversion from a two-point sling to a single-point sling at will. The back end of the sling is equipped with a Burnsed Socket which allows for any Push Button sling swivel, also known as a QD Swivel, to be inserted. The front end gives the option to use either a standard Push Button Swivel or our proprietary RED™ (Rapid Emergency Detachment) Swivel, both of which can be inserted into the Burnsed Socket to create a single-point sling. What is the difference between the M16 Buttstock Adapter and the A2 Buttstock Adapter? The M16 Buttstock adapter is attached by being looped around the fixed buttstock with the small metal triglide toward the bottom, then the metal triglide is inserted through the sling loop, and is finished by pulling the webbed tab through the top link until a flap on the bottom of the tab catches. The A2 buttstock adapter can be used on weapons that lack a bottom sling loop, uses a friction-fit- based design, making it a great option for many shotguns and bolt action rifles. I have a SCAR® Series rifle. What is a preferred style to attach a sling to the rifle? The SCAR® (Special Forces Combat Assault Rifle), made by FNH, offers just a couple of ways to attach a sling without the need modifications or accessories. Points of attachment include the slot at the top of the buttstock, an eyelet at the back of the receiver, and another eyelet near the gas block. The most common way to attach slings to this rifle has been through HK-style hooks, which have been found to have higher rates of failure, expedite wear and tear on the weapon, and cause a lot of unwanted noise. This served as the genesis for a more reliable and less damaging alternative. Our newest sling hardware, the ULoop™, is designed as an outright replacement for Snap Hooks and MASH Hooks. I ordered a Foliage Green Sling, but I think I may have received a Wolf Grey Sling instead. How can I tell the difference? Believe it or not, this is a common question. The lightness of the Foliage Green color has just enough gray in it to sometimes be mistaken for gray, especially when a true gray comparison isn’t available. We’ve found that when compared to a true gray, Foliage Green looks green, but when it is compared to something green, the coloring looks gray. Which Ten-Speed® Pouch work with AK magazines? We don’t offer a Ten-Speed® solution designed for AK magazines at this time. The currently available Ten-Speed Pouches are designed around straight-walled magazines, like those designed for the AR15 and SR25 family of weapons. The catch on the back of the AK magazine, also referred to as a tab, sticks out, and can cause wear in stitching and may expedite overall wear and tear of a Ten-Speed Magazine Pouch as it is repeatedly pulled out of the pouch. Devout fans of our Ten-Speed pouches prefer to use 417 magazine pouches as they fit AK magazines and offer enough room to help minimize the issue of wear and tear. Do you offer armor carriers for soft armor? Our current line of armor carriers, including the LMAC™, PLATEminus™ and PLATEminus™ V2, are designed around 1.25” thick SAPI/ESAPI spec hard plates. Other versions of hard armor can be used with our carriers, but further consideration should be taken for sizing and fit. I’m looking for an armor carrier. How do I know which size to buy? When shopping for an armor carrier, the size isn’t determined by the user’s size, but instead by the size of the plates intended for use. For example, a 10” by 12” ceramic SAPI/ESAPI plate would be best used with a large size carrier regardless of the build or height of the user. The carrier itself can be adjusted to fit the user. I purchased a Utility Pouch a few years ago and the old one had a built-in mesh organizer, but the new one I ordered doesn’t have it. Has this product changed? We’re constantly making improvements to our products. Some of these changes may be based on aesthetics or minor changes to functionality based on user feedback or when we believe the change is for the better. Over time, users may notice these changes as they reorder products they purchased in the past. I am using an APO/FPO for my delivery address. Can I use UPS or Two-day shipping? Due to the nature of how APO/FPO deliveries are handled, we aren’t able to offer these delivery services to these locations. Economy Shipping is the only available delivery service for these locations. We strive to ship in-stock orders within one to two business days. Backordered items will ship as they become available. We offer a 10% discount to all members of Law Enforcement, whether on duty or retired, as well as to members of the Military, whether active, reserve, guard or retired. To ensure you receive our Military/Law Enforcement discount, click on the “Mil/LE” button on the top navigation bar of the website and follow the directions on creating a Mil/LE account. How can I learn about new products, promotions and special events? 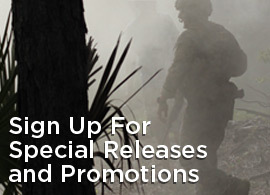 All of our announcements regarding new products, promotions and special events are sent through emailed Newsletters. This information may also be shared through announcements on our social media channels. To make sure you receive our most recent updates, we suggest subscribing to our Newsletters, which can be done here: https://www.blueforcegear.com/email-signup. I’m a member of the military in need of an item for my soon deployment. How do I ensure that I schedule delivery in time for my deployment? If this is the case, please call us at 877-430-2583 or send email us at sales@blueforcegear.com. We will assist in any way we can to ensure that your order will arrive in time for your deployment. Do you currently offer a way to process multiple forms of payment during checkout? We can only process one form of payment per order at this time. While we can accept VISA gift cards as a form of payment, the gift card must be able to pay for the entire order at the time of purchase. I would like to stop receiving the newsletters. How can I do that?